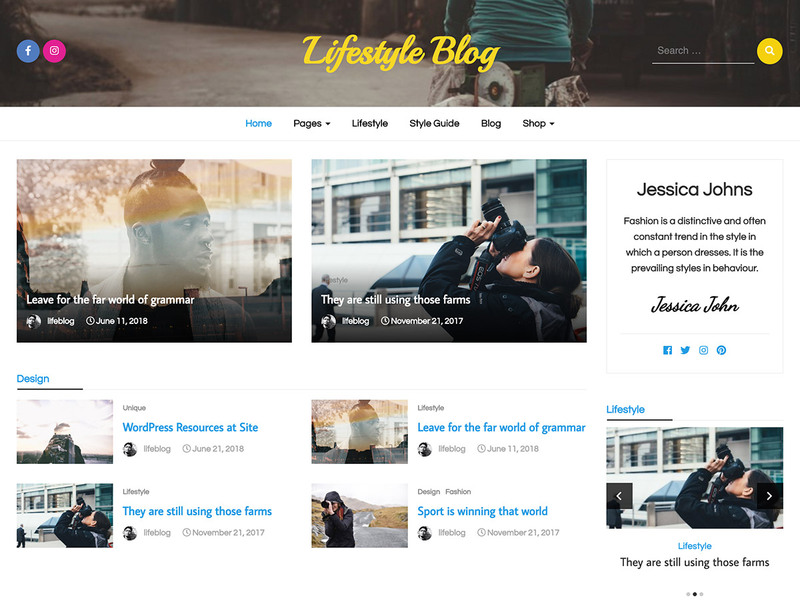 Lifestyle Blog is a child theme of Lifestyle Magazine WordPress Theme. This theme is build for newspaper, media, magazine related project. This theme is very lightweight and easy to use. This is one of the best WordPress theme designed for newspaper, news portal, news website, magazine, blog, bloggers, photographers, personal portfolio, travel bloggers, small medium and large scale businesses, corporates, lawyers, bloggers, restaurants, weddings, colleges, universities, hotels, churches, salons, fitness, resorts, ecommerce, businesses, creative freelancers, professionals etc. and also supports woocommerce, made fully compatible with Gutenberg and Classic editor.